Last week I went away for a few days and as always my trip included garden visiting. We called in on fellow Cottage Garden Society member Rachel Helfer’s garden in Wareham, Dorset. 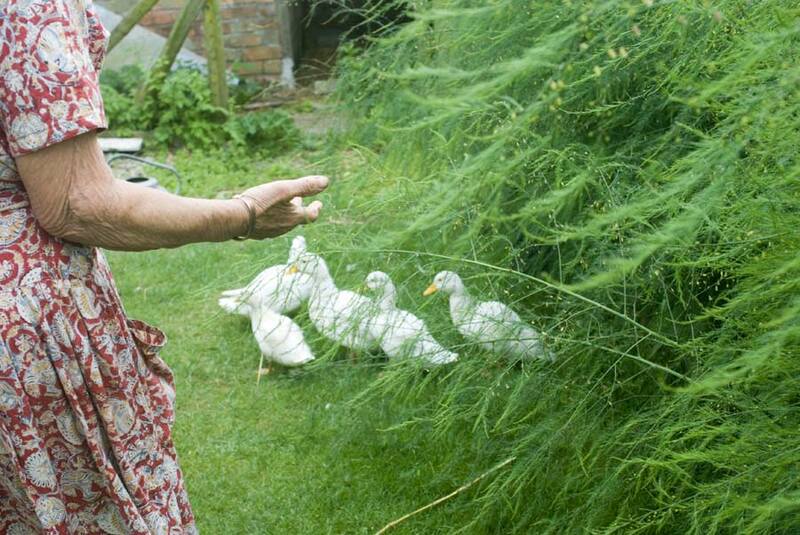 There are wonderful herbaceous borders full of flowers, magnificent views of the surrounding countryside and a most impressive kitchen garden complete with these adorable domestic ducks. Clever garden owner Rachel says that thanks to these friendly additions she has no problems with slugs in her garden. and cakes will be for sale! On the return journey home we called in at Knoll Gardens, home of Neil Lucas for the past 20 years. 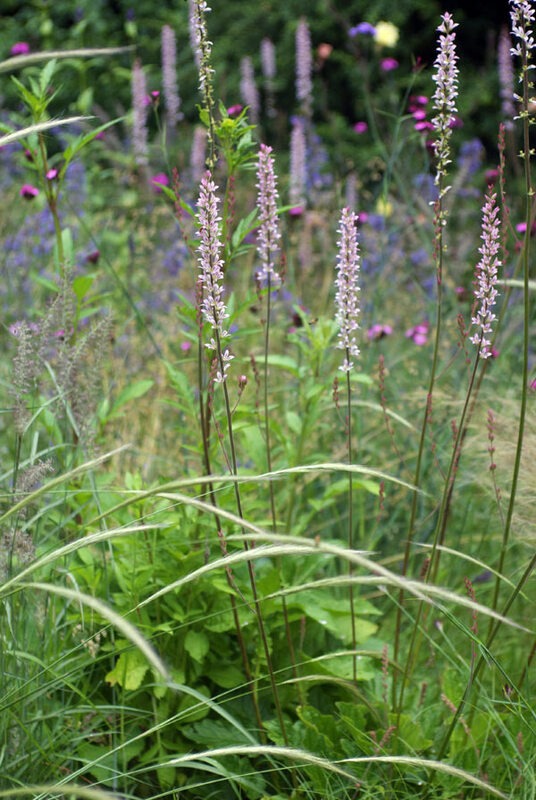 Neil is an expert plantsman and the UK’s leading authority on ornamental grasses. The gardens provide a showcase for his personal naturalistic style, and he has a specialist nursery there that I have always wanted to visit.